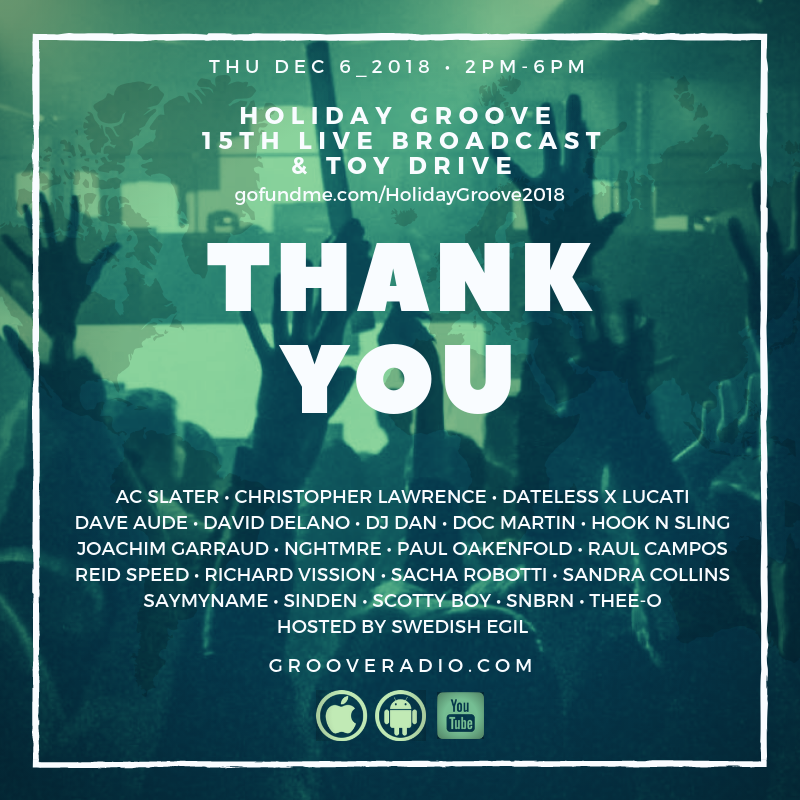 On Thursday Dec 6, 2018, Groove Radio will present our 15th annual live broadcast “Holiday Groove 2018.” This on-air event brings together L.A.’s Electronic Dance Music community in celebration of the season and has become a dance music holiday tradition to support the “Spark of Love Toy Drive” by ABC7 and Southern California Firefighters. GoFundMe has provided Holiday Groove a way for our listeners to donate directly to the California Community Foundation (CCF), the creator of the Spark of Love Toy Drive Fund. Help us meet our goal on their behalf by making a secure, tax-deductible donation online with 100% of your donation going directly to the CCF certified charity. If you make a donation, please mention that Groove Radio sent you to Spark of Love. Let’s make our Holiday Groove 2018 our best year yet!